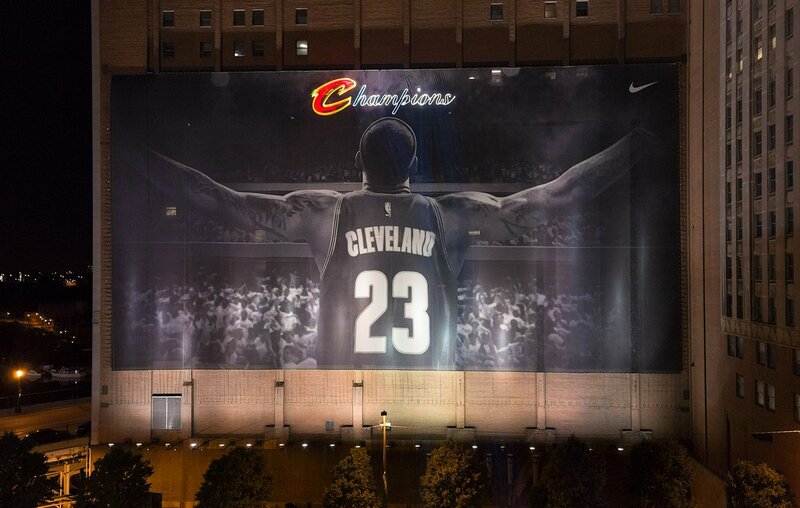 Nike’s infamous LeBron James banner (not the original Witness one!) got an update, an appropriate move, given the fact that the Cleveland Cavaliers just won their very first NBA championship. As reported earlier, Nike also has a special tribute commercial toasting the determination of the denizens of The Land.